This entry was posted on August 20, 2013 by Russell Smith. 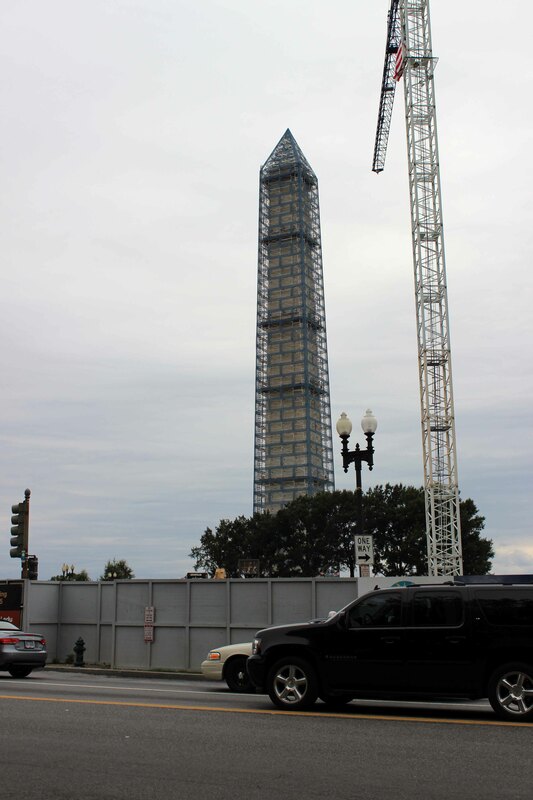 It was filed under Architectural, Urban and was tagged with construction, District of Columbia, renovation, Russell Smith, scaffolds, Washington DC, Washington Monument. It looks odd. The walkways make me think of Big Ben more than the monument. That crane looks like a giant preying mantis. All cranes give me that impression!